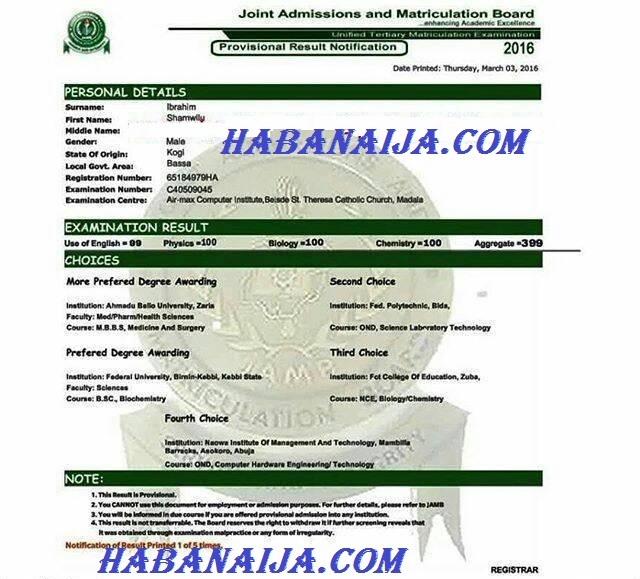 HIGHEST UTME SCORE IN THE HISTORY OF JAMB: IBRAHIM SHAWILU - Haba Naija! We see a record breaking score from jamb of a student named IBRAHIM SHAWILU. This is a record of 399 of 400 which was set by the young man that might not be broken anytime soon. Ibrahim Made History In UTME 2016 , someone has broken Wole Soyinka’s history In Nigeria. 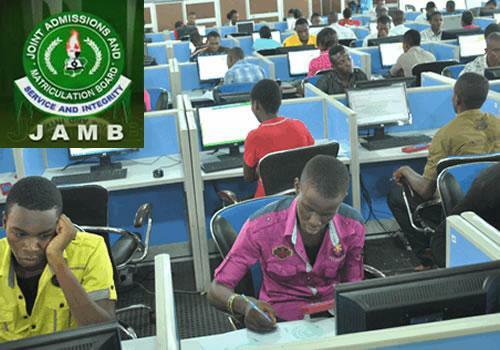 Ibrahim Shamwifu had shattered JAMB score record with a UTME Score of 399 of 400. Ibrahim originate from Kogi state. He applied ABU zaria, to study MBBS. Nigerian students won’t stop surprising the world with their display of academic excellence just before we got over the surprise of Ayodele Dada who graduted with a CGPA of 5.0 from UNILAG .Below is the screen shot of the highest jamb score…. He is the highest so far in history as at the time of filing this report. However, the jamb Exercise is still ongoing and anything is still expected from the amazing brains of young Nigeria Students. Perharps we can see another record breaker of 400. Nigerians wont stop surprising the world. Habanaija Facebook Like, Comment, Share and Invite Contest Winners!! !